I recall to Anne the story of Lucile Proy-Goulard, a small grower I had met the evening before. Lucile took me in her outstanding original Citroën CV2 to her small collection of vines overlooking Épernay (with a perfect view of the Avenue de Champagne and Moët & Chandon’s gargantuan headquarters). Leaning on the Citroën, drinking her champagne and eating the best meat and cheese board I’ve ever had, we spoke of the problem of a lack of respect she had faced as a young woman in the industry. Despite owning and running the house herself, there have been times where other producers and important cogs in the industry have treated her differently, with instances of her father being listened to purely because of being a man. For Anne, this is a familiar story. Being a woman has made it more difficult to succeed in the industry, but this has changed in the time she has overseen AR Lenoble: “When I arrived, I was 28, and yes, you have to prove that you’re legitimate. You have to do more just to be considered as legitimate at your place. 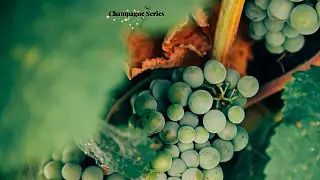 It seems that many women taking on responsibility in champagne started young, with Anne at 28 and Mme Clicquot only 27. For Anne, taking control at 28 seems in stark contrast to women in society: “At University, you have more women than men, with excellent results. Ten years later, you have more men in key jobs than women. So what happened within these ten years? They were pregnant, they had children, and they heard ‘ah, but now you have to stay home, you have to look after your children’. “When they were at University, they were leaders, very confident of their quality, but then they hear these things and stay home, have a part-time job or say ‘no, it’s difficult, it would be too much time to invest’. LA Transmission is here to say no, just be yourself, just do it. I’m sure you can do it." While LA Transmission has promoted women in champagne greatly since its inception, there are houses out there who have been flying the flag for much longer, such as Baron Albert, run by the three Baron sisters. Having taken over from the previous generation of three brothers, each sister controls a different part of the business - Claire as sales manager, Lise in charge of vilification and vine maintenance, and Aline looking after the factory, from elaboration of the champagnes to case packing. “It was very difficult 25 years ago for a woman to become an oenologist, let alone become a Chef de Cave,” Sandrine tells me over Duval-Leroy’s signature Femme de Champagne (named in honour of Carol and all women in Champagne). “Carol needed people to help her: there was a strong partnership to start and to go on. It’s a support. She offered me two jobs - the first was to become quality manager, and the second to become Chef de Cave. The extreme situation in which Carol and Sandrine found themselves meant that extreme measures were in order. Technology has played an important part in the progress of Duval-Leroy, reminiscent of Mme Clicquot, who perfected the art of riddling, with Carol joining this long line of inventive women: “She fought,” says Sandrine. “She promoted industrial tools, she always accepts inventiveness, always accepts progress, and more and more facilities. Three geese adorn the front of the apron, one for each of the three Vazart-Coquart generations. The inhabitants of Chouilly are nicknamed geese after a particularly robust flock 70 years ago that used to stop cars in their attempts to reach the river. As he hands me the apron, and I leave the house, he says “I hope to add a fourth one for my daughter”. Here’s to more geese like this at the pinnacle of champagne.